Mt. 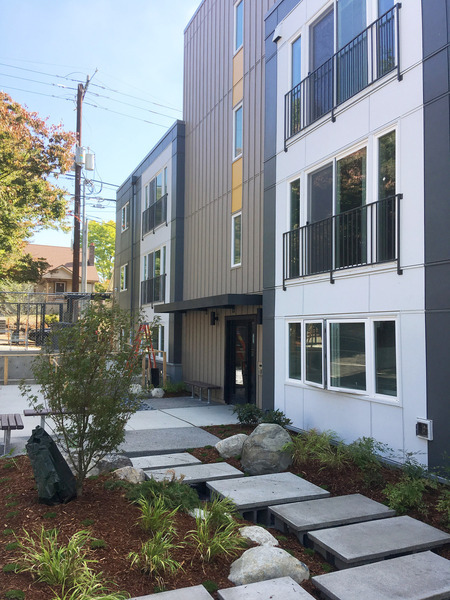 Baker Housing Association has recently completed a new building at South McClellan Street in Rainier Valley. 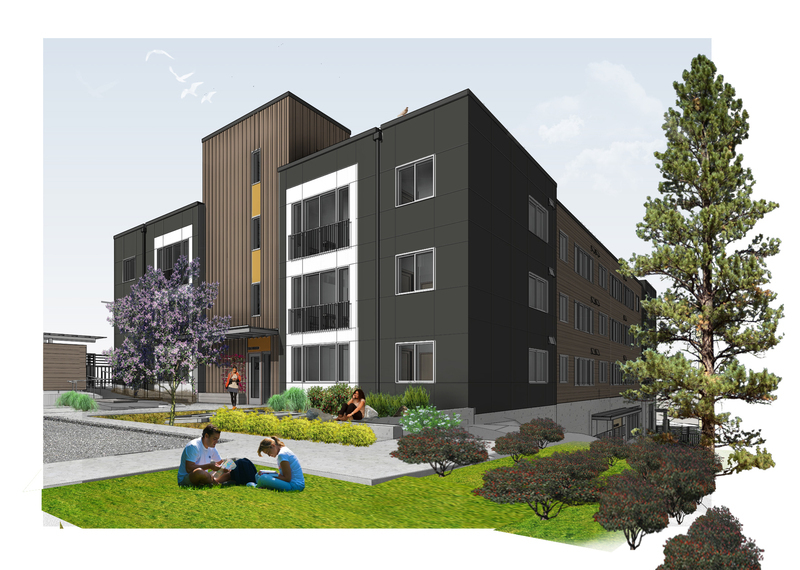 Located just a few blocks from the Mount Baker light rail station, the 31 new apartments at South McClellan Street provides low income housing in a rapidly growing and developing neighborhood. 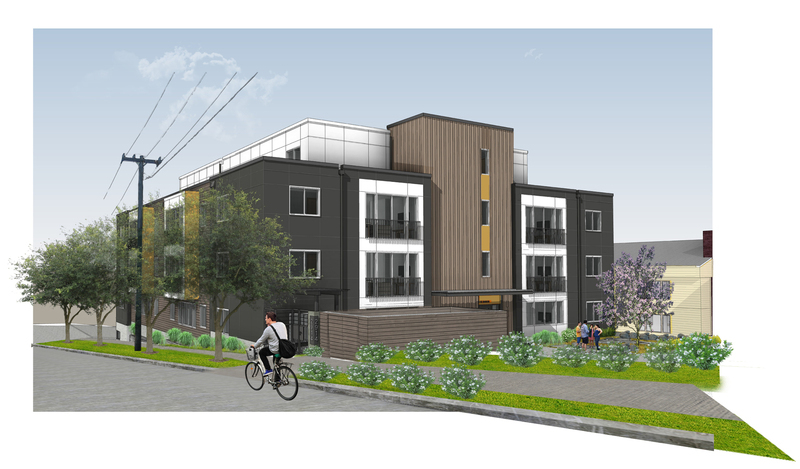 At the edge of a single family residential zone, this building serves as a gateway between the established residential community and the growing mixed-use Mount Baker community hub. 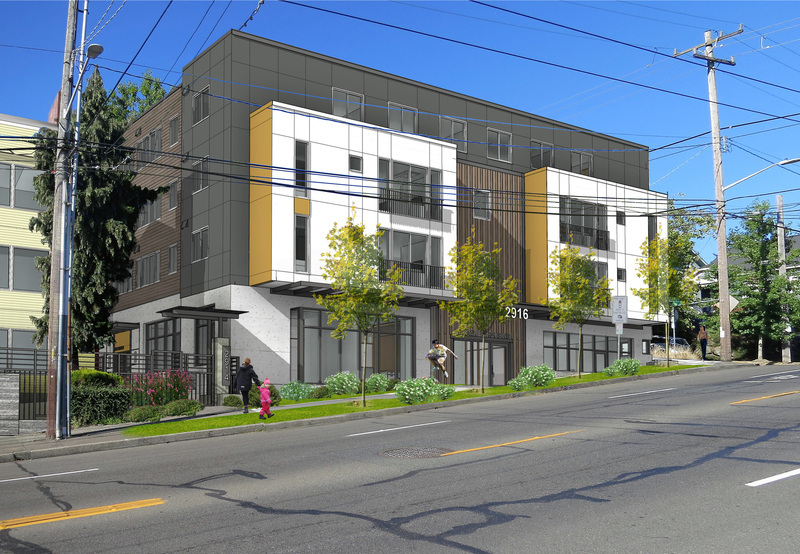 The building respects the existing single family neighborhood while acknowledging Seattle’s current housing demand. Facing the busy McClellan Street the building has modern material and color palette, with commercial space at the ground floor and projecting bays above. Turning the corner, the building facing the residential street responds to the neighborhood scale with modulated forms, setbacks both at the ground and upper floors, planting, and residential entry gates. The project is a part of a larger HUD funded tax credit project that provides for the renovation of 107 existing Section 8 apartments. ARC Architects worked closely with the owner, Beacon Development Group, and RAFN to develop clear project scope and to find cost efficient design solutions.